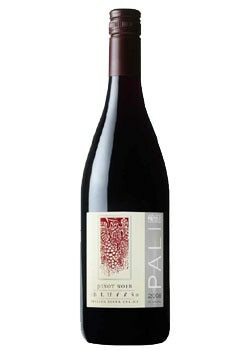 Pali is short for "Pacific Palisades," a ritzy Los Angeles suburb, but this wine is crafted from grapes harvested in the Russian River Valley. Black cherry and sweet raspberry perfume contrast with softer scents of sage and lavender. On the palate, metallic notes intermix with bright blueberry and cherry flavors. Undertones of espresso and sea salt melt into a powerful finish.